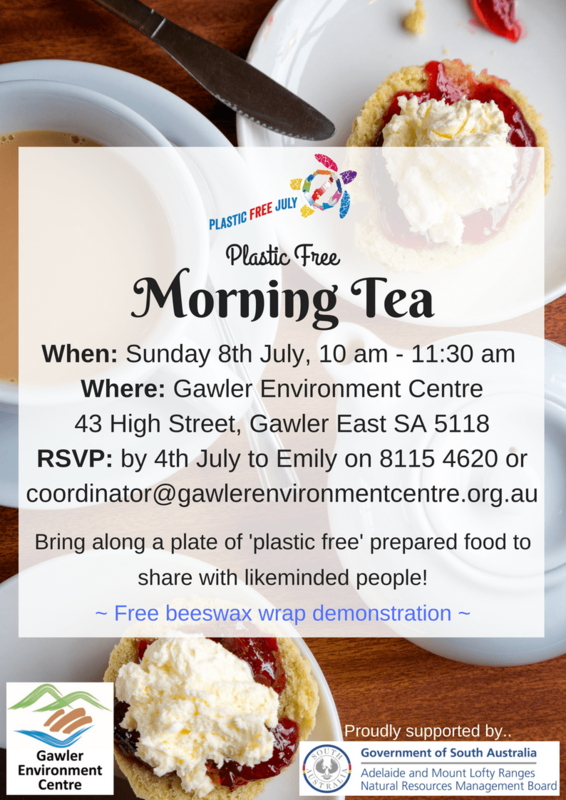 Join us for a Plastic Free Morning Tea to celebrate Plastic Free July! We love plastic free and we love food so combining the two sounds like a match made in waste-free heaven! Bring along a plate of something sweet or savoury to share with likeminded people. All food is to be brought along without the aid of single-use plastic (eg. cling wrap). Resuable plastic containers are okay. Let’s make every effort to make this morning tea as plastic free as possible. If you’re bringing something pre-made consider choosing something that is easy to purchase without single-use plastic (eg. a pastry from Bakers Delight in a paper bag or in your own resuable bag or container). If you’re adventurous and opt for something homemade, please consider alternatives to cling wrap, such as a resuable container, beeswax or plant based wrap or just simply a bowl covered with a plate! There will be a free beeswax wrap demonstration to provide you with the knowledge on how you can attempt your own at home. If you have ideas or products which help you live with less plastic at home, work or school please bring them along and share them with us.